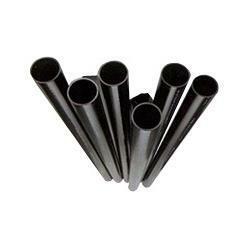 Pioneers in the industry, we offer lldpe tubes, hdpe tubes and ldpe tubes from India. Linear Low Density (LLDPE) formulations; also available in Low Density formulation (LDPE). These are made from non-toxic ingredients conforming to FDA standards, LLDPE tubing does not impart a taste or odor. This tubing is flexible, lightweight, and durable. LLDPE also exhibits good dielectric properties. Low density polyethylene is listed by the National Sanitation Foundation (NSF 51). Linear Low Density Tubing offers enhanced resistance to stress cracking. LLDPE is chemically inert; forms a good barrier to gases, vapours, and moisture. High Density Polyethylene (HDPE) Tube is a high density tube which is less flexible than LDPE, but has better physical and chemical properties, and withstands sterilization by boiling. It is widely used in transporting air, water and chemicals. Produced from raw materials which meet FDA requirements. LDPE Tubing - Low Density Polyethylene is economical plastic material with good chemical resistance. LDPE provides high impact strength at low temperatures. It also exhibits excellent electrical properties. relieved. 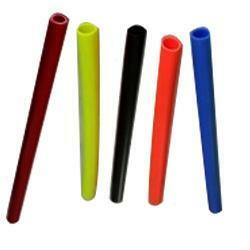 Looking for Polyethylene Tubes ?